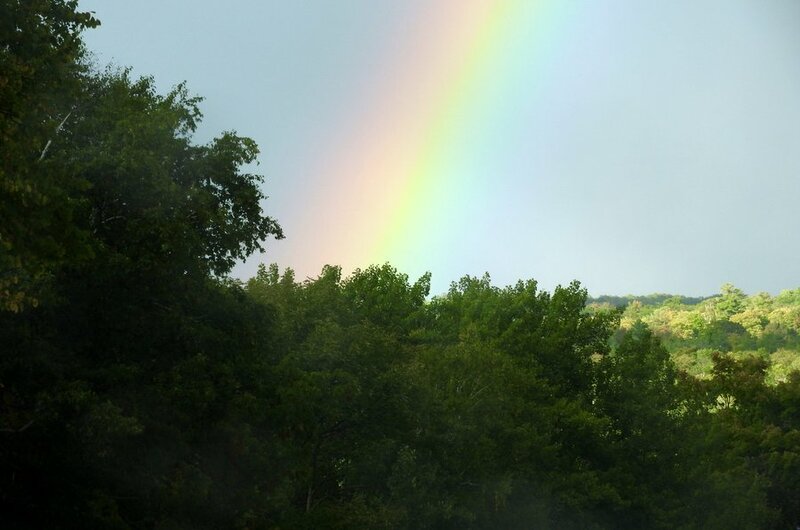 I have been thinking this week about life in the country. 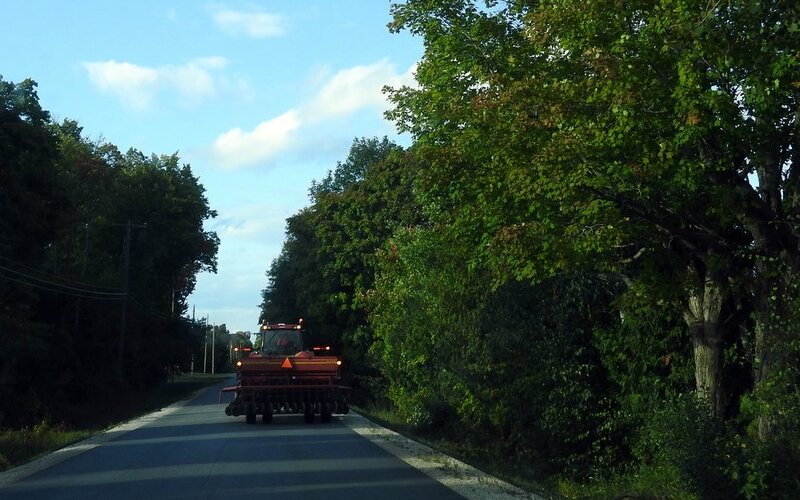 I was behind a huge tractor on the back roads I often take home, and he took nearly the whole road. At some point along the road, another large tractor approached us in the opposite direction. You should have seen the two of them trying to pass each other! This is the tractor I was driving behind. I should have taken a shot of the other tractor as well. 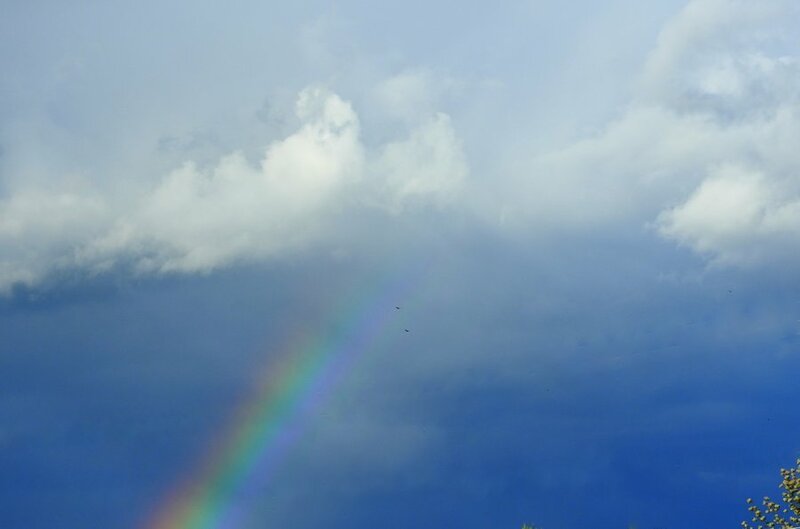 Then yesterday, as I was driving home from work, I saw a beautiful rainbow. 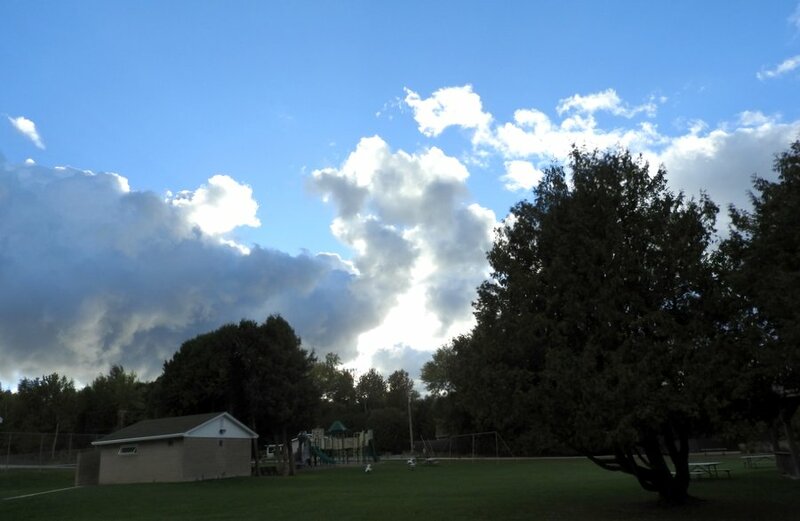 It hung around long enough for me to take pictures of it from several vantage points along my route. 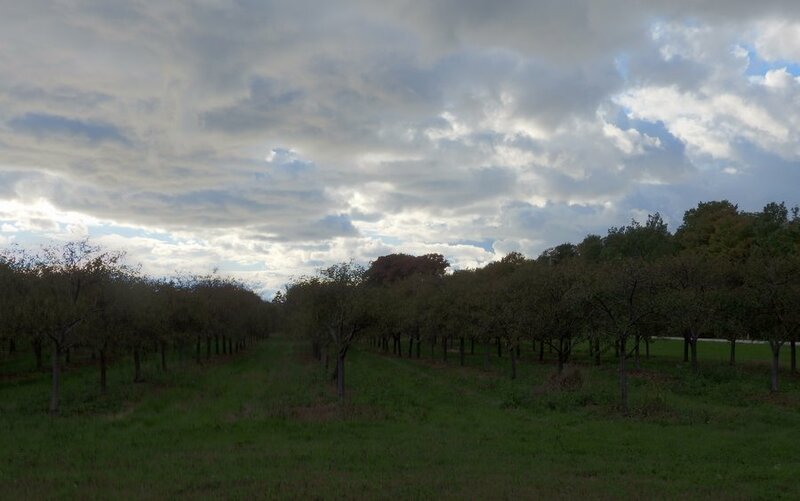 OK, so technically this isn’t a rainbow, but the clouds were pretty dramatic over this orchard. This was from the top of the hill as I was about to head down into Ellison Bay. 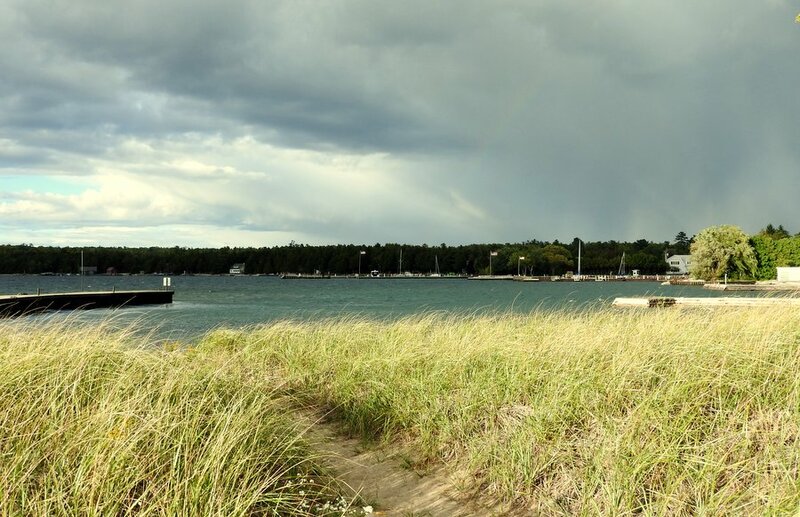 I pulled into a park on the shore of Ellison Bay, but by this time the rainbow had faded considerably. On the opposite shore, you can see the docks where I took the stormy pictures the other day. 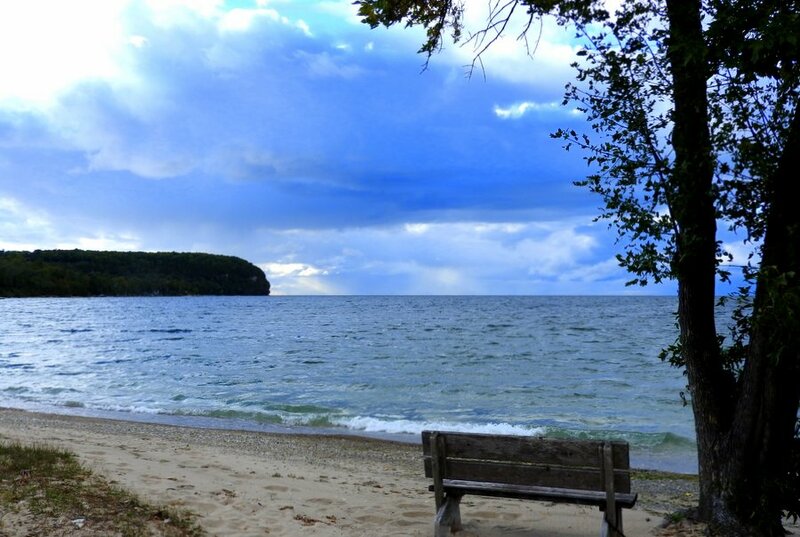 This entry was posted in Pictures, Weather and tagged Door County, photos, weather by Denise Fuller. Bookmark the permalink.